← Housewife gets 4 days’ jail for stealing milk powder. Malaysia has 149 cinemas operating throughout the country except for Perlis and Kelantan. 2. No shows during Ramadan and at prayer times at night. 3. Some of the lights must be ledft on. You can forget about taking your wife for a movie let alone hope for a love-couch. No love-seat in cinema for unmarried Muslim couples. Bring along your marriage certificate, OK? Kelantan MCA Liaison Committee Secretary Lua Choon Hann says cinemas will be lucky to attract a handful of patrons if they have to follow all the rules to get an operating licence. 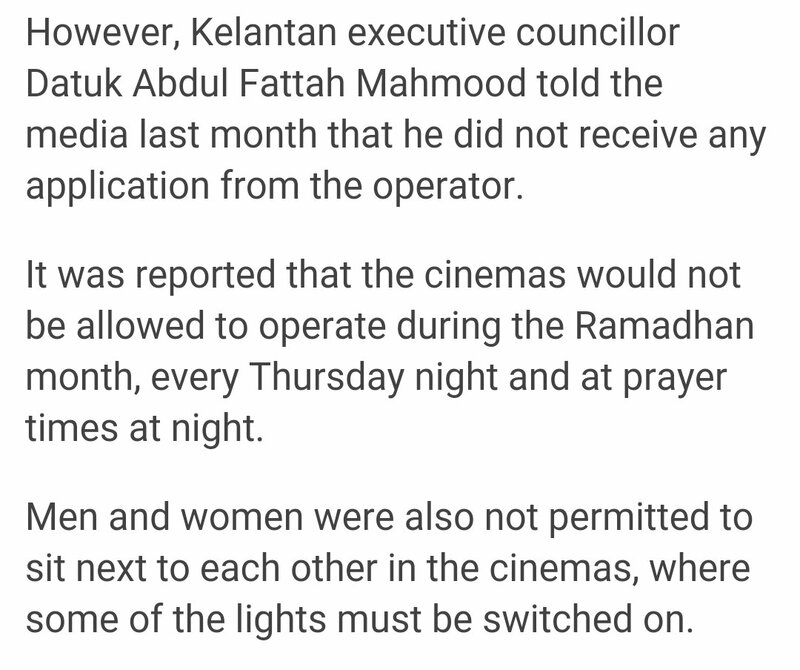 PETALING JAYA: Kelantan MCA today mocked the Kelantan Government’s decision to allow cinemas to be opened in the state, granted it adheres to certain guidelines, including gender segregation. “Cinemas in Kelantan would be lucky to have a handful of patrons if hardline conditions are imposed,” Kelantan MCA Liaison Committee Secretary Lua Choon Hann said in a statement. 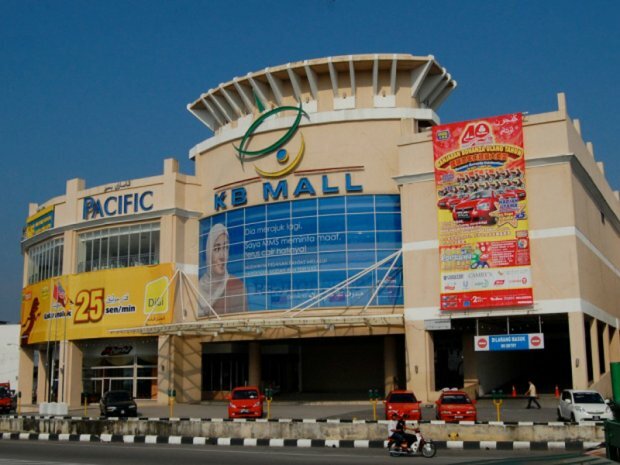 Earlier today, the Kelantan Government said it was open to approving the setting up of cinemas provided the operators were willing to adhere strictly to the conditions laid out by the Kelantan authorities. Apart from separating the male and female patrons, other conditions include halting operations during Ramadan and at prayer times at night. Some of the lights must be switched on. Lua said the guidelines were “laughable”. Lua also said the guidelines would encroach and impinge on the lifestyle of non-Muslims, apart from possibly leading to a loss in income. KUALA LUMPUR, Jan 31 — TGV Cinema has confirmed reports that it was exploring the possibility of opening a cinema outlet in Kelantan, but said it has no plans to do so at this point of time. Chung Shyh Kwong, the TGV Cinemas general manager in charge of business development, said the company’s enquiry was part and parcel of their compilation of facts for business development. “Yes, we did speak to the Kelantan government to find out about the licensing requirements for cinemas in Kelantan,” he told Malay Mail Online in an e-mail response earlier this week. “TGV Cinemas is always exploring new areas with potential for cinemas. In this regard, the enquiry with the Kelantan government is part of the fact finding and exploration for new areas in Malaysia,” he added. “TGV Cinemas currently do not have any plans for cinemas in Kota Baru,” he said without stating why, only reiterating that this was for fact-gathering purposes. 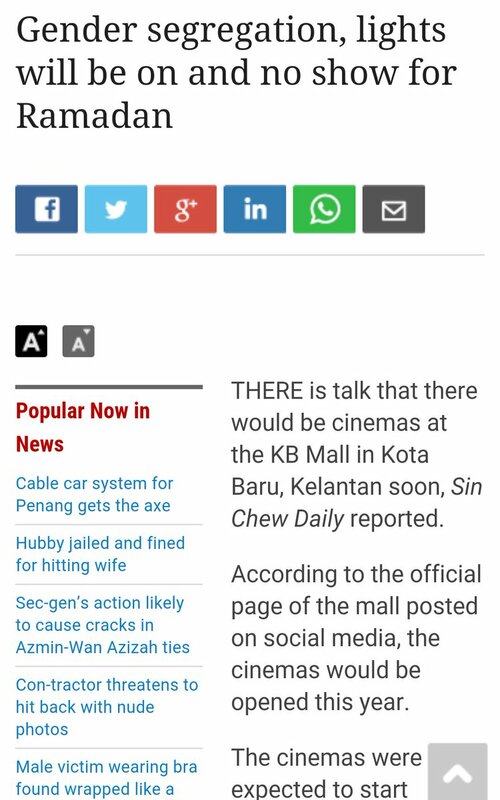 This entry was posted in Uncategorized and tagged kelantan, kelantan may allow cinemas, malaysia, no cinemas in perlis or kelantan. Bookmark the permalink.